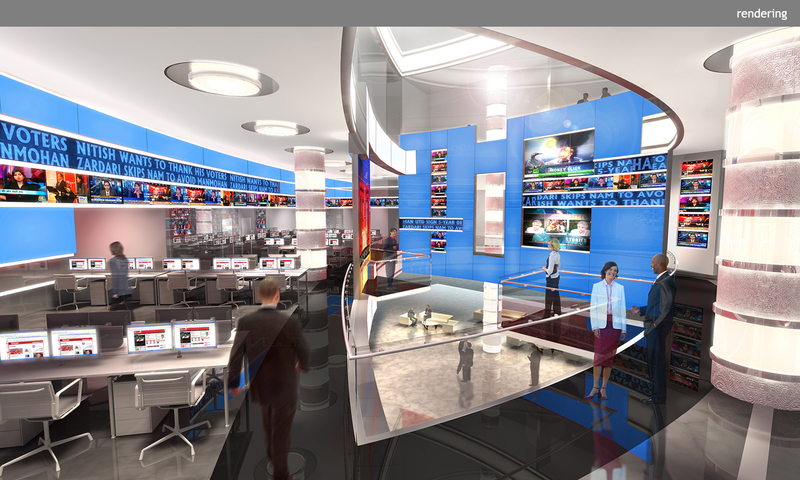 Perhaps the biggest draw to TV Today’s broadcast center — which features two studios adjacent to an editorial floor — is its impressive atrium space, or rather the periphery thereof. 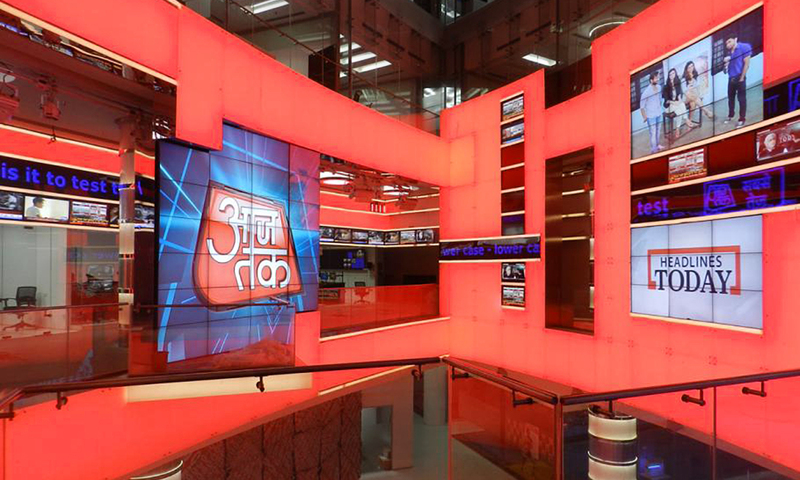 Finished in media connecting two floor levels and including color-shifting lightboxes, monitor arrays, and LED tickers, this atrium becomes a lantern that provides ample ingest opportunities and a dynamic background to the studios. 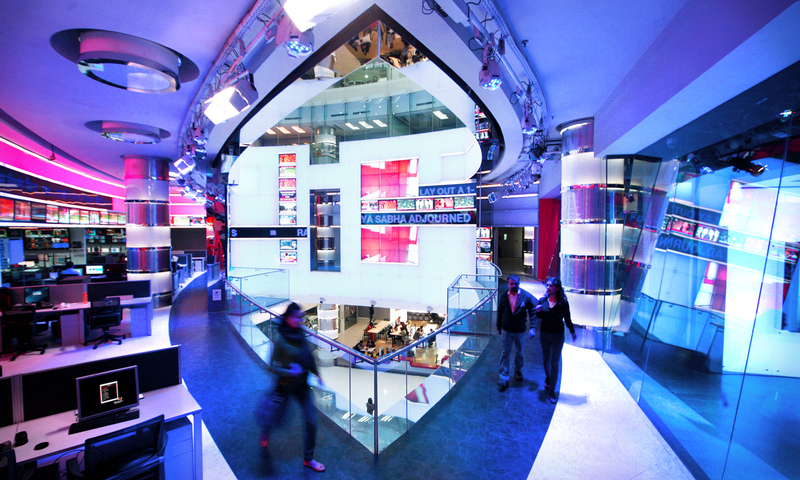 Moreover, its two balconies offer non-acrophobic journalists some stunning stand-up opportunities. 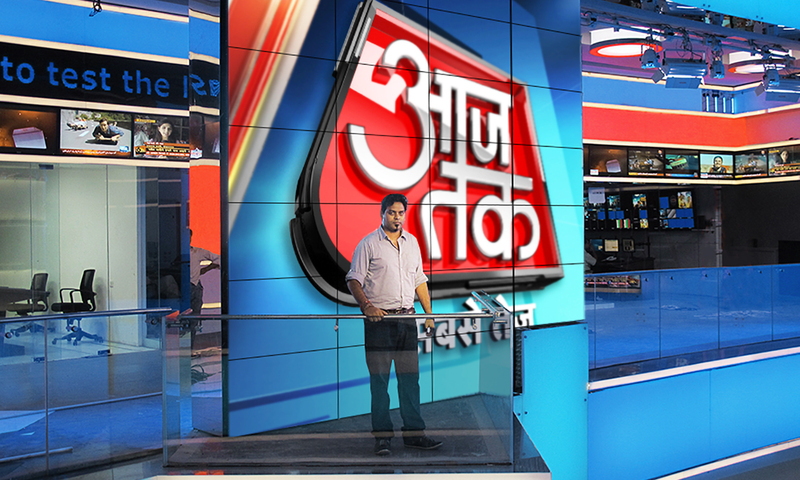 The studios, housing Aaj Tak and Headlines Today, not only reference but also propagate the design of the atrium. 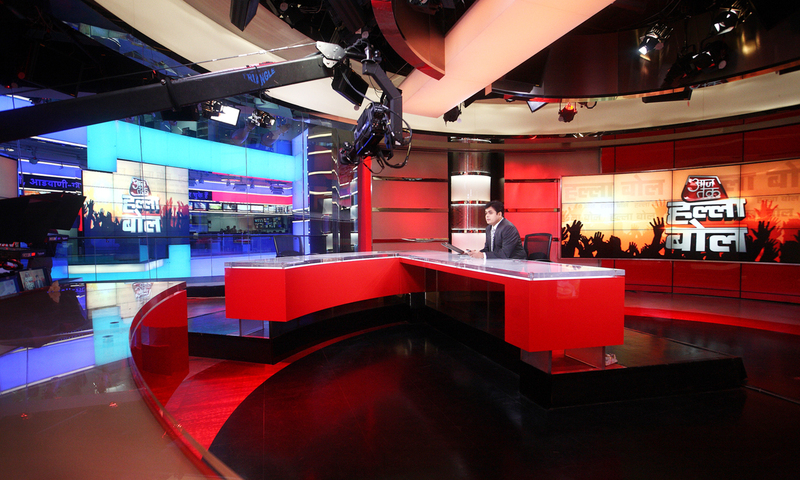 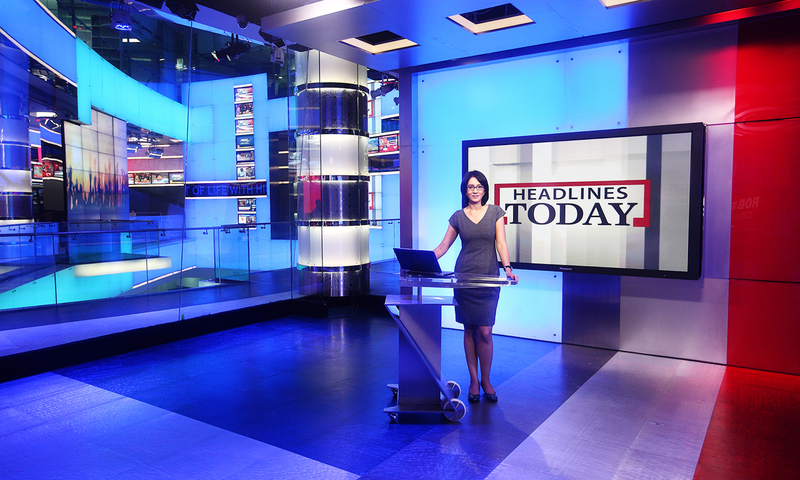 Common media elements as well as an unmistakable visual link brand these spaces as an integral part of the broadcast center as a whole, and in turn characterize the editorial floor as a fundamental component to the broadcast itself. 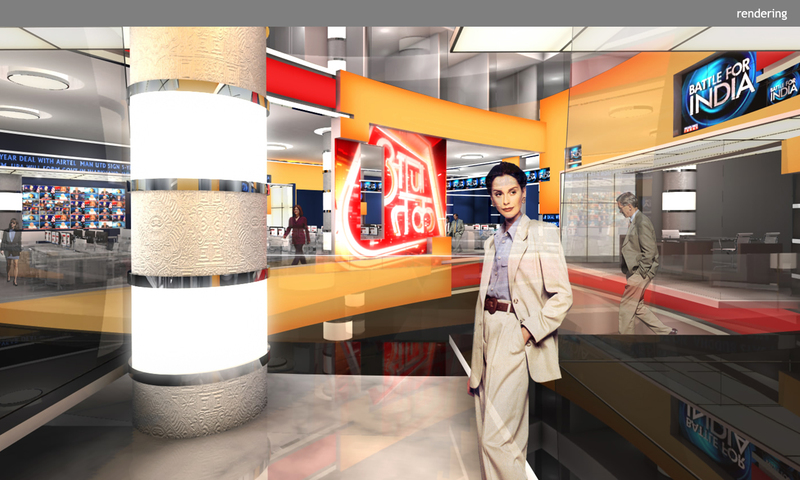 Ultimately, the atrium becomes the mechanism for reinforcing the symbiotic relationship between production and presentation at TVTN.